American Philosophical Quarterly - Philippine distributor of magazines, books, journals, etc. 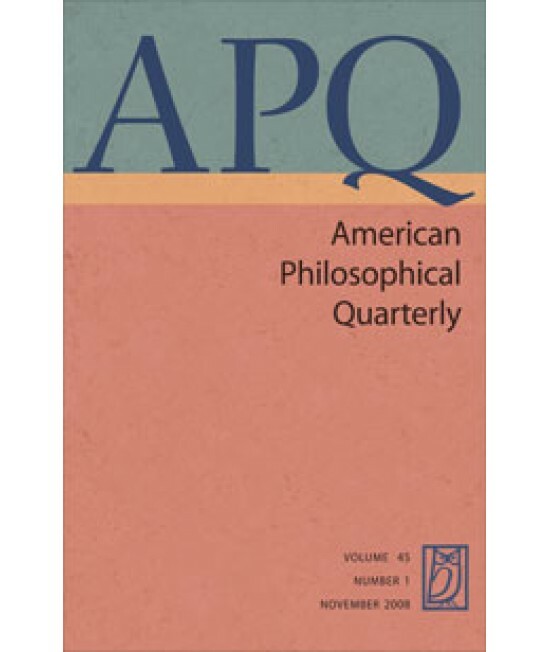 The American Philosophical Quarterly (APQ) has established itself as one of the principal English vehicles for the publication of scholarly work in philosophy. The whole of each issue—printed in a large-page, double-column format—is given to substantial articles; from time to time there are also "state of the art" surveys of recent work on particular topics. The editorial policy is to publish work of high quality, regardless of the school of thought from which it derives.